We love T.J Maxx in our home - it's literally a one stop shop for the entire family. Whether I'm looking for seasonal women's fashions, men's fashions, kid's fashions, shoes or for home goods - I can head to T.J. Maxx with confidence. They always seem to have exactly what I'm look for and at a fraction of the department store price points! With the Spring season fully upon us, it's time to update your wardrobe! 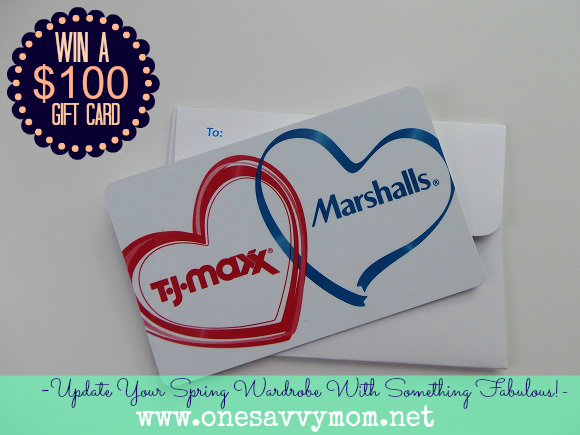 (1) One Savvy Mom reader will receive a $100 T.J. Maxx / Marshalls Gift Card [redeemable at any T.J. Maxx or Marshalls retail location] to update their wardrobe this season! Open to residents of the U.S. only. Entries must be received by 11:59 PM PST on May 16, 2013. 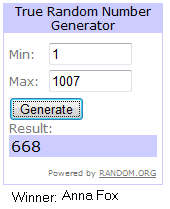 Reader will be drawn at random through www.random.org and must confirm their shipping details within 48 hours from the time that the email notification is sent (or another winner will be chosen in place). I do need some new sandals this year. I haven't gotten any in about five years. I want to get a new pair of sandals. I would love to update my summer wardrobe with new capris and sandals. and i need a pretty pair of flip flops! I follow as Tamra. I'd like to add some nice capris to my wardrobe! I would love to get a black and white striped maxi dress! I would love to get a new dress. I need a great maxi dresss! I'm following, and I would really love to add a white leather bag to my wardrobe this spring!